SIA Webinar: Blue light and LED – fact or fake news? The Safety Institute of Australia in partnership with the Human Factors and Ergonomics Society of Australia (HFESA) invite you to join a webinar on, Blue light and LED – fact or fake news? on Wednesday 3 July 2019 from 2.30 - 3.30 pm (AEST). The Safety Institute of Australia in partnership with the Human Factors and Ergonomics Society of Australia (HFESA) invite you to join a webinar on, Good work design: Strategies to embed human-centred design in organisations on Wednesday 7 August 2019 from 2.30 - 3.30 pm (AEST). 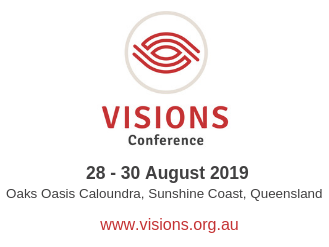 The Safety Institute of Australia (Queensland Branch) invites you to join us and be part of the 27th Annual Occupational Health and Safety Visions Conference to be held 28 - 30 August 2019. The Victorian Branch Committee of the Safety Institute of Australia is pleased to announce that planning for this year’s Victorian Symposium is taking shape. Held in Melbourne on Thursday 5 September 2019, this year’s event is titled ‘Mission Critical: Focusing on what matters’. 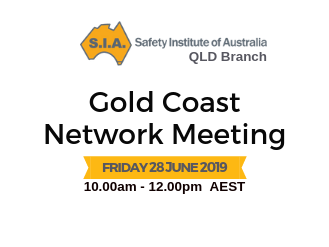 On behalf of the Safety Institute of Australia, we invite you to attend the 2019 Annual General Meeting which will commence at 5:00pm (AEST) on Thursday 5 September 2019 at the Victoria University City Convention Centre.